There are over 14,000 Optometrists registered in the UK, and Alisdair Buchanan has just been voted the best at this year's Optician Awards. 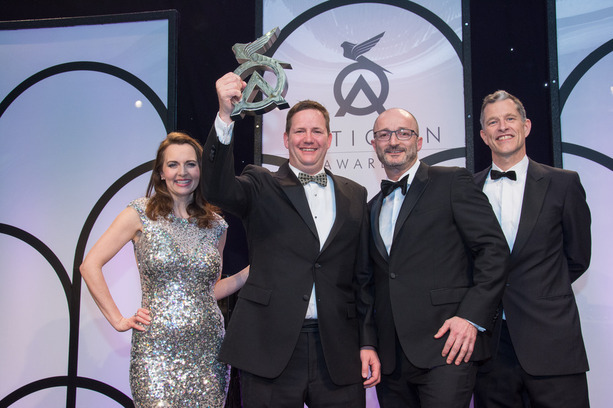 Having won numerous practice awards before it was Alisdair's cutting-edge approach to detecting eye diseases and treating dry eye that earned the attention of the judges to vote him as the Optometrist of the year. This latest award is an affirmation of how we do things differently to the vast majority of opticians. Having won the incredible accolade of Independent Practice of the Year at the National Optician Awards 2015-2016, we repeated our success by being voted the Independent Optometrists of the year 2016 at the Healthcare and Pharmaceutical Awards. Placing us as not only the Best Independent Optician and Optometrists in Kent but the whole of the UK. Winning is an immense honour and also, affirmation that our unique combination of expert staff, cutting-edge technology and family eye care is the best in the UK. We are so thrilled to have won the biggest award in our industry and to be voted as the best Optometrist in the UK is something we are incredibly proud of. This year the judges were particularly impressed with and commented on Alisdair's customer care, superior level of eye examinations and equipment as well as his innovative work with dry eyes and glaucoma. To find out more about how we can help look after your eyes and what makes us different, read on. What is your most precious sense? Eyesight? Did you know you can lose up to 40% of it before you may notice? Did you also know an eye test can prevent sight loss but also save your life? So now you are convinced it may be time for an eye examination, who do you choose to look after your most precious sense? Improve your vision through your spectacles by up to 40% by using the most advanced measuring technology. Benefit from the greatest choice in spectacle frames. Choose from over 1000 frames. Design your frames, tailor-made from scratch just for you. Have glasses that fit perfectly - no more slipping down or digging in. See a consultant optometrist that uses their expertise and state of the art technology to detect eye diseases at the earliest possible stages getting you the treatment you need fast. Experience exceptional customer service and always see the same expert staff. Take advantage of easy access and free parking. Relax in a beautiful setting with friendly staff. Have the peace of mind you are in the most awarded opticians in Kent. Then there is only one choice. Buchanan Optometrists. You may assume all opticians are the same, and most are. But we are very different. As one of the elite Optometry practices in the UK, the eye examinations, spectacles and lenses that you receive from Buchanan Optometrists are only of the highest quality. New patients are blown away by the thoroughness of their eye examination, the quality of vision we can help them achieve, the beautiful practice and the friendly welcome. We were voted the best independent optician at the Healthcare and Pharmaceutical Awards 2016 and Independent Practice of the year 2015-2016 at the Opticians Awards. In 2017 Alisdair Buchanan won Optometrist of the year at the prestigious Optician Awards. Such accolades recognise the difference between ourselves and most opticians and assure our clients that you are getting the very best cares for your eyes. Clients looking for the best optician travel from all over Kent and the UK but also the world for the ultimate eye care and eyewear service we offer you. Please read some of their testimonials and reviews to find out why they keep coming back. Your eyesight is one of the most precious possessions you have, so it deserves expert care. We tailor every eye examination, the pair of spectacles and lenses specifically for you and your unique individual needs, meaning you get the most thorough eye care and most exquisite, comfortable spectacles with the very sharpest vision. We are so confident that you will receive the best eye care and spectacles possible that we back everything we do with a value for money guarantee. Visit us at Buchanan Optometrist and from the moment you step into the beautiful, modern practice you will experience unrivalled professional service. You will meet me and my wife, Kathryn Buchanan. We are the resident Consultant Optometrists and practice owners, meaning you’ll always see the same friendly faces every time you visit the practice, giving you a chance to build up a rapport and history. Not all Eye Examinations are the same. Did you know that 50% of all sight loss can be avoided? Early detection is the key to preventing sight loss. As one of the most technologically advanced practices in the UK, you can rest assured that Buchanan Optometrists can help to detect eye conditions such as glaucoma and macular degeneration up to 8 years sooner than regular eye tests, preventing you having sight-threatening complications. During your eye test, you will experience equipment far superior to that found in most eye hospitals and opticians. Read some of our testimonials to see how our advanced equipment and expert Optometrists have saved lives as well as eyesight. We are the first and only practice in the UK to offer advanced glaucoma detection and monitoring using Triggerfish smart contact lenses. Measuring your condition over 24 hours aids earlier diagnosis, more effective treatment and prevents sight loss. As well as eye examinations, you can benefit from 65 years of combined experience and qualifications at our specialist clinics including glaucoma, macular degeneration, paediatrics, dry eye, contact lenses and sports vision. Not all spectacles are the same. If you would like spectacles so comfortable that you forget you are wearing them and want expert advice to help you choose the best look- you are in the right place. You will be guided by experienced, qualified staff to select the best frame for you. We regularly travel the world to bring you the latest trends and designs of spectacle frames. If you want the ultimate in style and comfort, we can even help you design your own bespoke, tailor-made frame. Designing your spectacles is a fantastic experience available to all our patients. This extraordinary service has drawn the attention of several celebrity clients. Read our testimonials to find out about how we helped Paul McKenna design his spectacles. Not all spectacle lenses are the same. Your field of view through your lenses could be improved by up to 40%! You may not have known there was such a difference between spectacles lenses, but like any product, there are very different qualities available. We advise you on the very best lenses available for your needs, finding visual solutions to your particular problem. Whether that be vocational, sport or hobby needs, we find a lens which fits in with your lifestyle. Your lenses will be tailored to give you the sharpest vision and greatest field of view. Not all opticians measure up. Did your last opticians measure you with a ruler? We haven't measured patients for spectacles with rulers since 2005; it isn't the most accurate way. We were one of the first opticians in the UK to embrace digital measurements. We take two digital images - one from the front and one from the side while you wear a calibration frame (see this in action in the video above). This allows us to produce diamond cut lenses, adjusted at over a thousand points across the lens for pinpoint sharpness and the thinnest, lightest lenses possible. Worried about varifocals? We often meet new patients who have tried and not got on with varifocals from other opticians in the past, or perhaps just tolerated them through necessity. Once you have tried our varifocal lenses, you will never look back. Varifocals, like shoes, need to be fitted correctly for you, or they will always cause you little niggles. Selecting the correct lens and fitting is a skilled, precision job- one that we only entrust to our fully qualified dispensing opticians. Our individualised approach to eye testing, spectacle measurements, and customer care has been recognised nationally. For four years we are very proud to have been voted in first place at the UK National Optician Awards and won The UK Independent Optometrists of the year award at the Healthcare and Pharmaceutical awards 2016. When you visit us, you can have the confidence that you are in one of the most awarded opticians in the UK. We look after patients as if they are part of our family. Word spreads, and we have patients who travel from all over Europe to see us. Our reputation has even attracted several celebrity patients, keen to deal with honest, professional staff who can produce beautiful spectacles for them. We would love to offer you this experience as well. Make the change to Buchanan Optometrists, and once you see the difference we are confident you will never look back! Alisdair Buchanan B.Sc., MCOptom., F.B.D.O., Dip.O.D.